These design patterns are all about class instantiation. This pattern can be further divided into class-creation patterns and object-creational patterns. 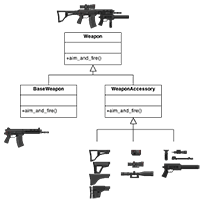 While class-creation patterns use inheritance effectively in the instantiation process, object-creation patterns use delegation effectively to get the job done. These design patterns are all about Class and Object composition. 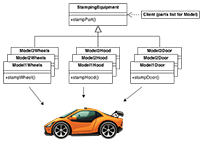 Structural class-creation patterns use inheritance to compose interfaces. Structural object-patterns define ways to compose objects to obtain new functionality. These design patterns are all about Class's objects communication. Behavioral patterns are those patterns that are most specifically concerned with communication between objects. The concept of design patterns has been criticized by some in the field of computer science. 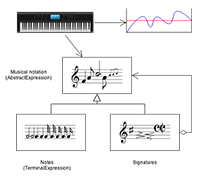 The need for patterns results from using computer languages or techniques with insufficient abstraction ability. Under ideal factoring, a concept should not be copied, but merely referenced. But if something is referenced instead of copied, then there is no "pattern" to label and catalog. Paul Graham writes in the essay Revenge of the Nerds. Peter Norvig provides a similar argument. He demonstrates that 16 out of the 23 patterns in the Design Patterns book (which is primarily focused on C++) are simplified or eliminated (via direct language support) in Lisp or Dylan. 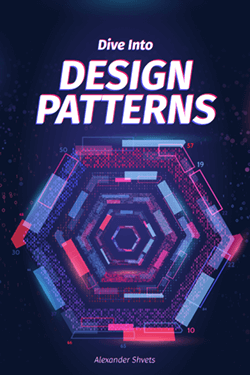 The study of design patterns has been excessively ad hoc, and some have argued that the concept sorely needs to be put on a more formal footing. At OOPSLA 1999, the Gang of Four were (with their full cooperation) subjected to a show trial, in which they were "charged" with numerous crimes against computer science. They were "convicted" by ⅔ of the "jurors" who attended the trial. The idea of a design pattern is an attempt to standardize what are already accepted best practices. In principle this might appear to be beneficial, but in practice it often results in the unnecessary duplication of code. It is almost always a more efficient solution to use a well-factored implementation rather than a "just barely good enough" design pattern. Some authors allege that design patterns don't differ significantly from other forms of abstraction, and that the use of new terminology (borrowed from the architecture community) to describe existing phenomena in the field of programming is unnecessary. The Model-View-Controller paradigm is touted as an example of a "pattern" which predates the concept of "design patterns" by several years. It is further argued by some that the primary contribution of the Design Patterns community (and the Gang of Four book) was the use of Alexander's pattern language as a form of documentation; a practice which is often ignored in the literature.